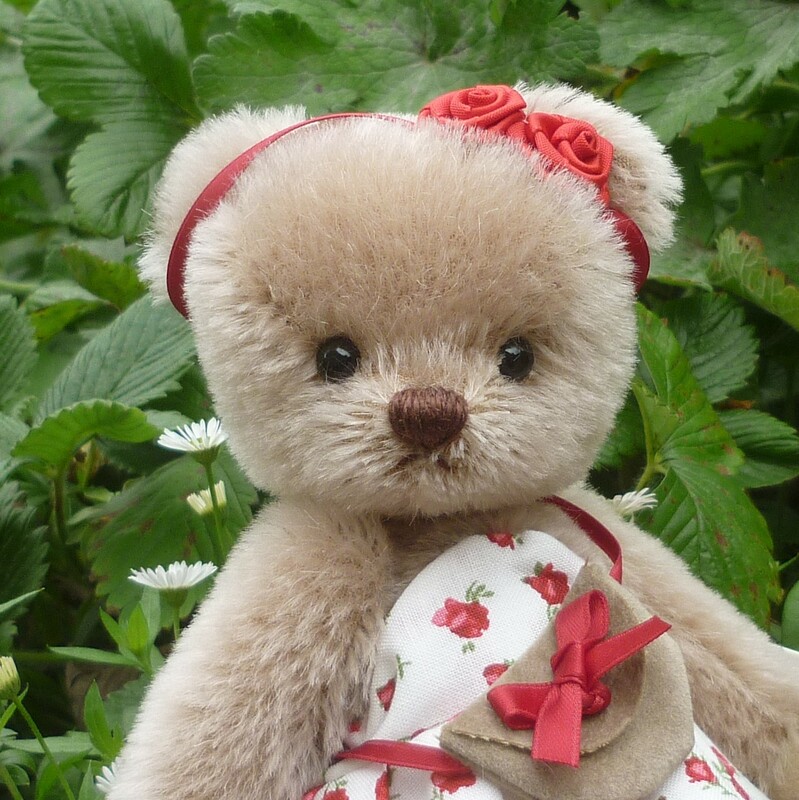 Pretty Katarina is made of beige mohair with black safety eyes and a brown stitched nose. 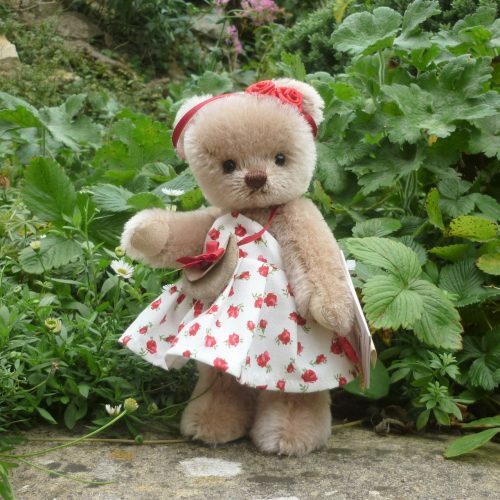 She wears a rose-printed, white cotton dress, has a red ribbon headband with rose and carries her light brown, ultrasuede handbag with ribbon strap and bow. 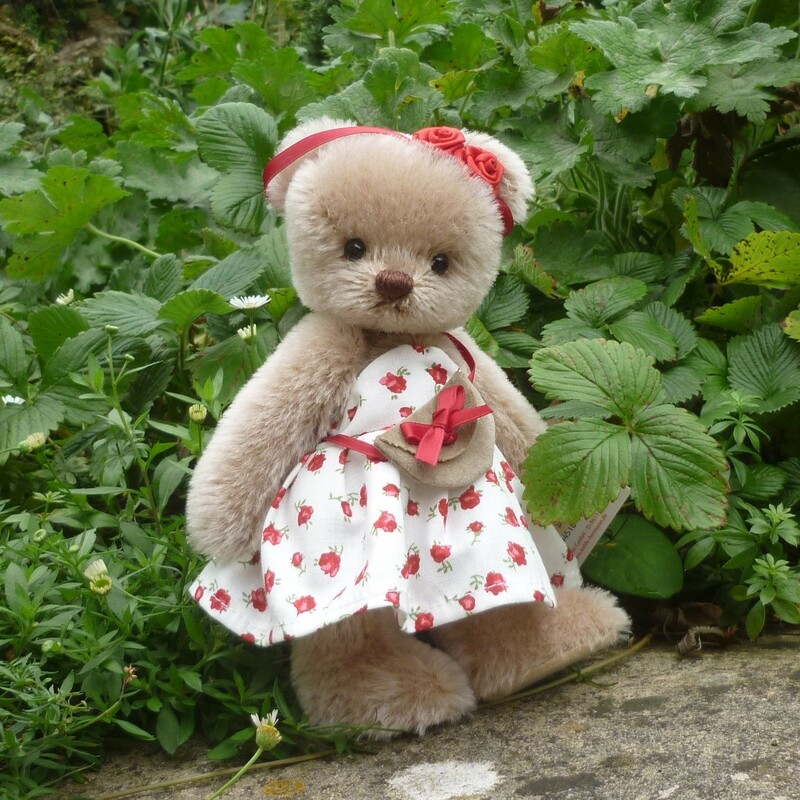 Katarina has beige ultrasuede paw pads and can stand freely on her flat feet. Filled with polyfibre.